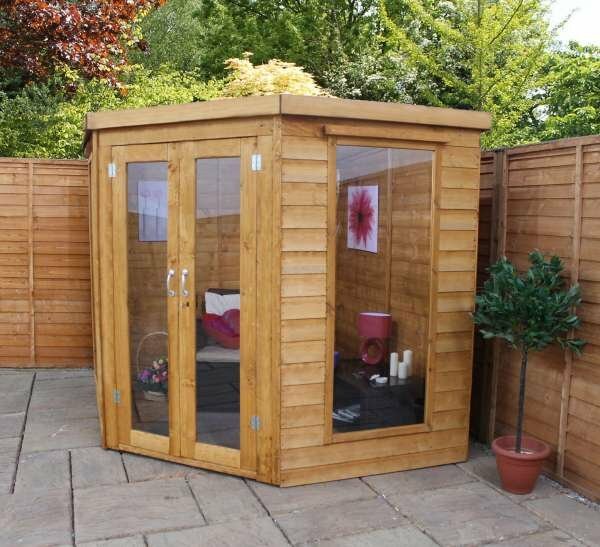 This stunning octagonal design summerhouse is ideal for smaller spaces. 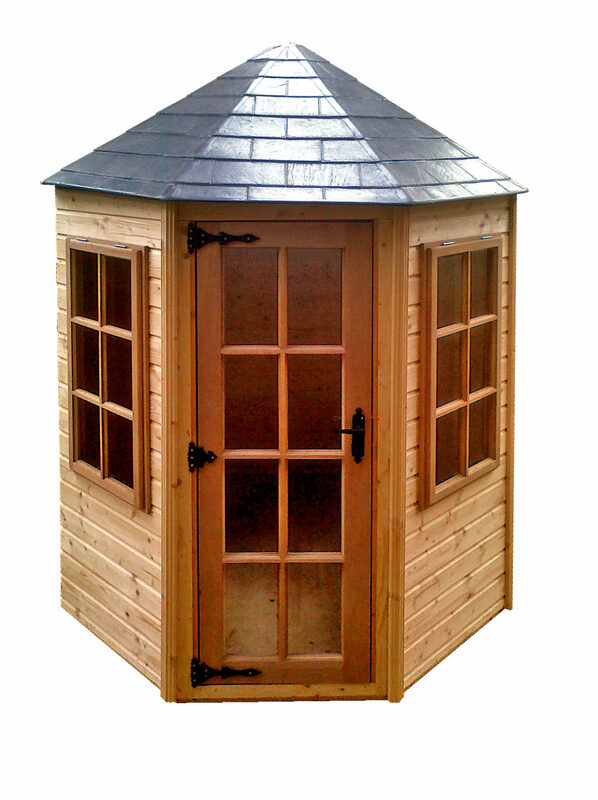 With its slate effect fibre glass roof, you’ll be the envy of all the neighbours. 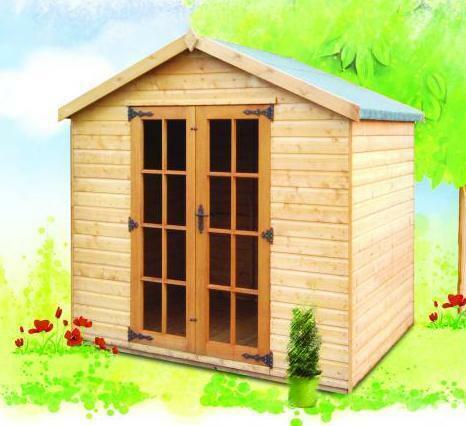 The strength of this Shropshire Summerhouse comes from the thicker than usual 15mm tongue and groove cladding. It is made on 45 x 34 mm planed framing. 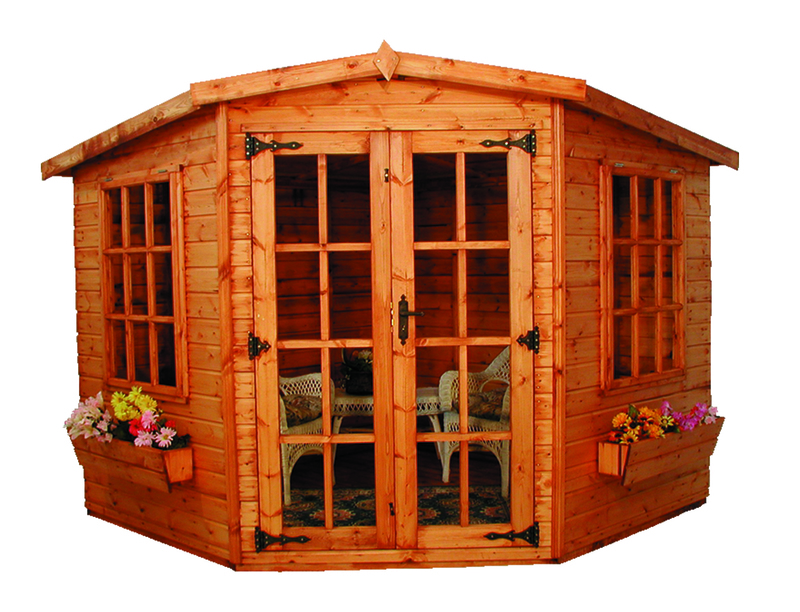 The 44mm thick hardwood door comes pre-hung and benefits from decorative hinges and handle. 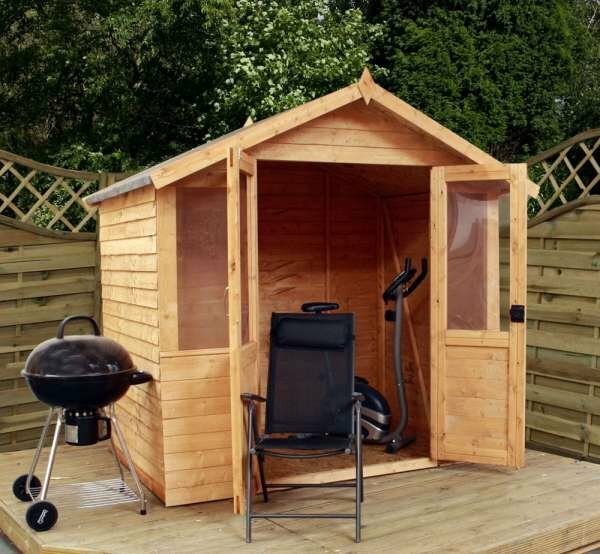 You won’t have to worry about the security of this summerhouse with a mortice lock and two keys included. The windows are opening and are fitted with toughened glass. 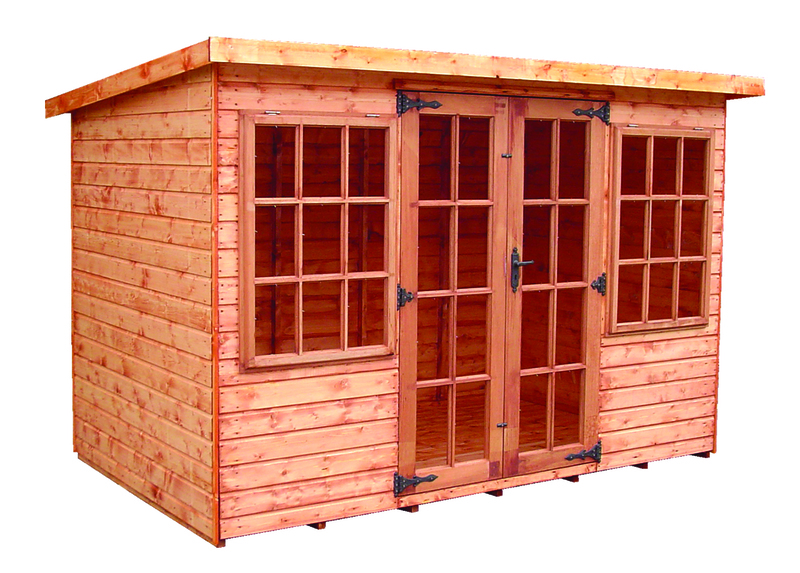 The internal eaves height is 1.98m. 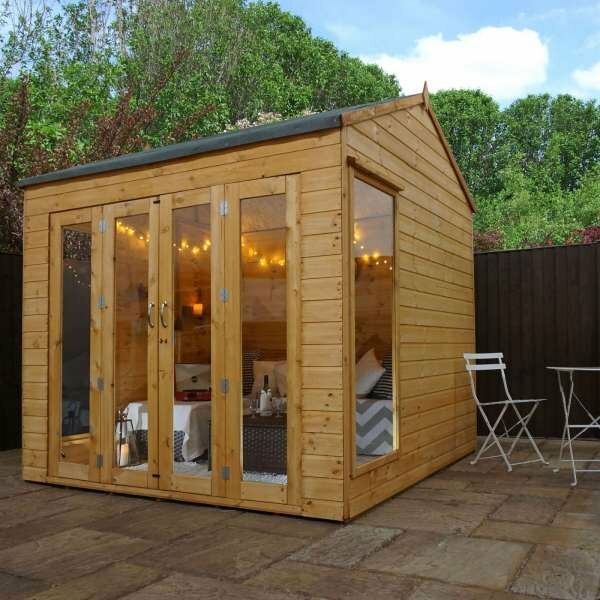 You’ll fall in love with this summerhouse as soon as you see it. 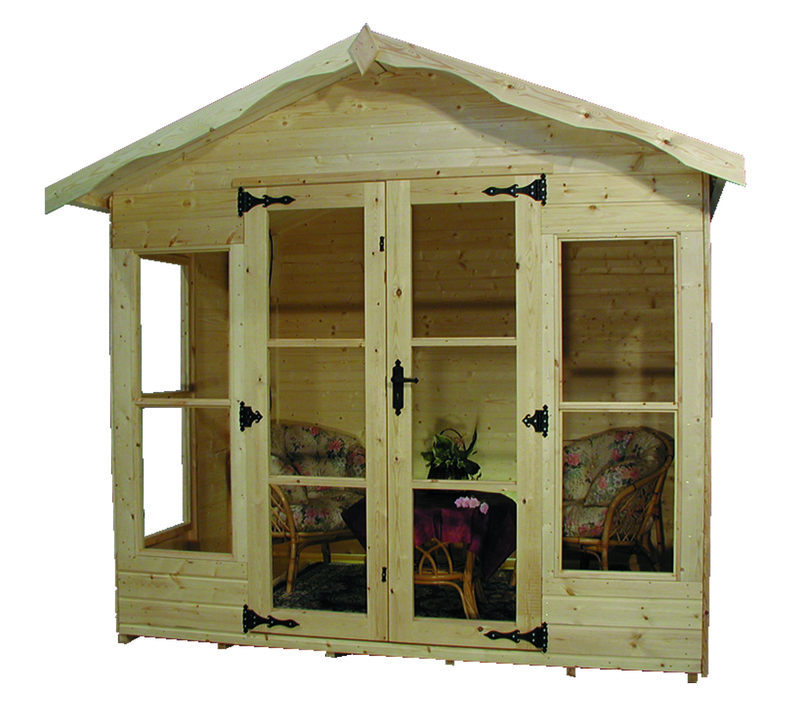 Size options: 6ft x 6ft (1.8m x 1.8m) | 8ft x 8ft (2.4m x 2.4m). 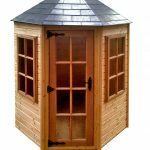 Octagonal summerhouse with one piece slate effect fibreglass roof and small pane glazing as standard. 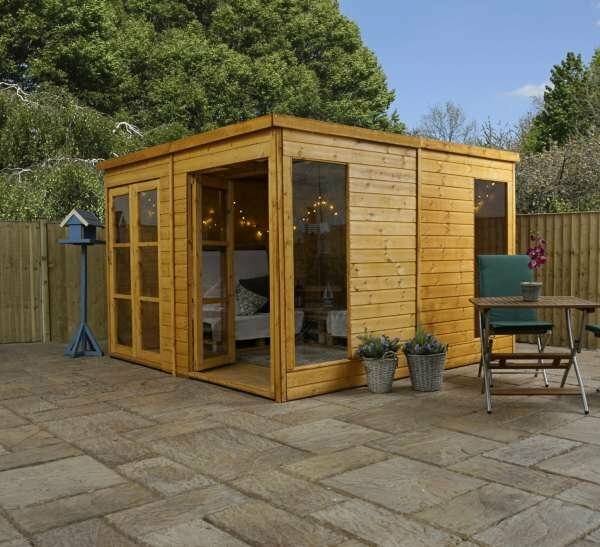 Manufactured from thicker than average 15mm tongue and groove shiplap throughout including floor on 45x34mm palned framing. 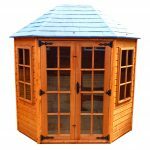 The hardwood door is 44mm thick and comes pre hung on decorative hinges with handle and fitted mortice lock and two keys. The hardwood windows are opening, all glazing is toughened safety glass. Internal eaves height is 1.98m (6’6).